Chris Raschka is the Caldecott Award-winning illustrator of A BALL FOR DAISY and THE HELLO, GOODBYE WINDOW. He is also the illustrator of YO! YES? 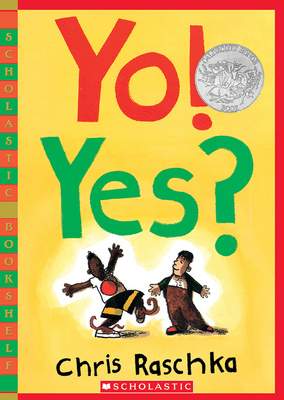 (which won a Caldecott Honor), SOURPUSS AND SWEETIE PIE, CHARLIE PARKER PLAYED BE BOP, and FARMY FARM. He lives with his wife and son in New York City.